Recipe & Cuisine Research & Development; DIY New & Original Recipes for many Diets & Live Styles including Paleo, Gluten Free, Low Carb, Probiotic, as well as Ancient and Traditional Foods with emphasis on "yard to table gardening" and Healthy Wholesome Foods. remove, top with kosher sea salt. Slice dark chocolate with sharp knife or vegetable peeler. 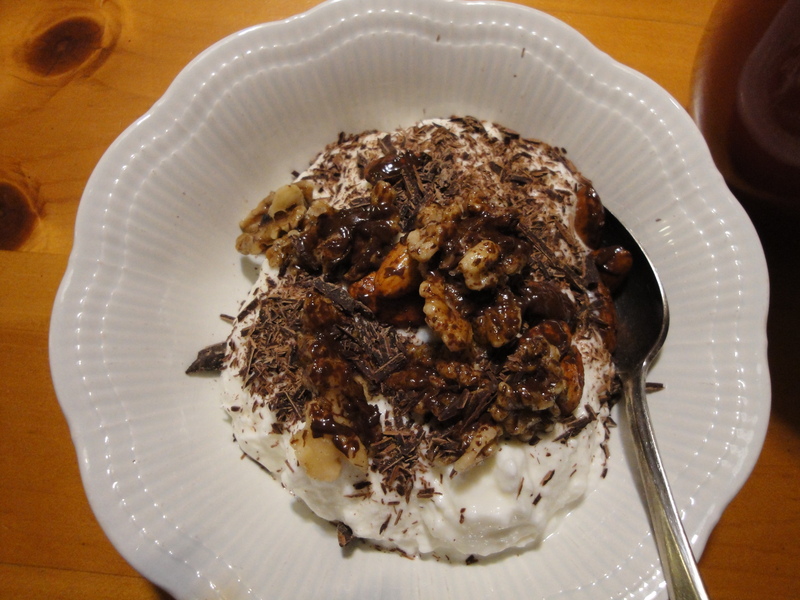 see my video,” Greek Yogurt Home Made” top with nuts & chocolate.